Zousain was home in the Golden Rose, absolutely home, and he wasn’t stopping, but his nemesis and stablemate The Autumn Sun produced something that only the very best three-year-olds can. He got balanced, wound up, dug deep, and produced a finishing burst that Zousain just simply couldn’t hold off. It was the win of a genuine star. He’s clearly the best horse in this Caulfield Guineas field. 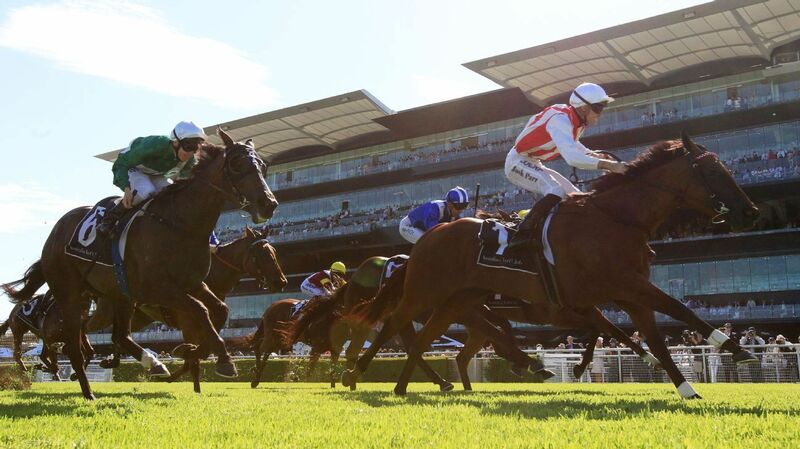 Racing fans with good memories will tell you that Caulfield has been the graveyard for many a good Sydney three-year-old, but the champions, the truly great ones, have tended to overcome it. The likes of Encounter and Lonhro have and The Autumn Sun will do the same, barring something completely unforeseeable occurring. I think he has drawn perfectly, he clearly wants a mile now, and he really hasn’t struck any rivals from Melbourne in the same stratosphere as him as far as class and ability goes. You have to take the short odds now, but it’s a worthy gamble. Aidan O’Brien has never had an issue testing Spirit of Valour against the best, running him in races like the UAE Derby and both the English and Irish 2000 Guineas. He’s clearly a level below the very best, and it’s also evident, as the son of War Front’s career has progressed, that up to 1400m is really his forte. He has proven very capable in that distance range. He hasn’t won this season, but he’s had excuses at times, and he’s been running in some top notch events. He did make Aussie star Merchant Navy work to run him down in the Greenlands Stakes at The Curragh over the six furlongs, and then last start in a Group 3 event over the same course and distance, he again ran well, proving he is in good form. I can see a high-pressure 1100 metre race, like he’ll be in here in the Schillaci Stakes, really suiting him, especially whilst fresh. He’s got the speed to hold a position, but he’s also got the stamina to be strong late, and he’s proven on a firmer surface. I reckon he’s up to this and that almost double figure quote is very appealing. Unforgotten simply got too far back in the Epsom and unfortunately, given the calibre of horses that finished in front of her, she was just simply set too big a task. It was a pretty forgettable afternoon for Kerrin McEvoy, who had similar issues on a few of his rides. Chris Waller has probably been dying to get her out to 2000 metres, and she gets it now in what looks a highly suitable edition of the Caulfield Stakes. From this gate she’ll be able to take a better position in running than she did at Randwick, and even though this is her Melbourne debut, I think she can salute. I really thought the Hill Stakes was her race, but unfortunately things didn’t pan out for her in the back half of it. Hugh Bowman took off mid-race on Who Shot Thebarman and turned what was a sit and sprint affair, which would have been right down Egg Tart’s alley, into a bit of a staying test. That, combined with a track that was probably firmer than she really likes, brought about her undoing. She’ll be fitter now, so if this turns into a bit of a slog, she’ll be able to cope with it better. Most importantly, she’s going to get at the very least a soft surface, and that is what she thrives on. This just sets up perfectly for her and she can then can head into the Caulfield Cup as a live chance, especially if there’s rain around. One Foot in Heaven is arguably the best bred horse going around in the country tomorrow. A son of Fastnet Rock and freakish French mare Pride, he looks to have come back for his second Australian preparation in fine fettle. Now that he’s going to strike a wet track, combined with the step up in distance, I expect we are going to really see him shine. He’s been building to a peak performance this time in, all on tracks that have been firmer than he likes. He held his position over a mile first up in the Chelmsford, loomed and peaked late in the Kingston Town second up, then worked home stylishly last start in the Hill Stakes. He’s a three-time winner over 2400 metres back home. His class was proven by a sixth in Found’s Arc and a third in the Hong Kong Vase, and he’s not badly in under the set weights conditions. I’m very keen on him going close in the St. Leger. Siege of Quebec is still an improving galloper, and may just be in the right place at the right time to grab a Group 1 victory here in the Toorak Handicap. I thought he was pretty brave in the Epsom after getting squeezed out upon jumping. It meant he had to do a lot more work to get to the position he wanted to be in, and it probably affected him late in the race. A mile is definitely as far as he wants, but I can envisage him getting a good run here behind what looks to be a hot speed. Several of the runners who like to lead or go forward have all drawn wide outside him, including Dollar for Dollar, Hellova Street, I Am a Star and Al Passem. That may well mean he can slide in underneath the lot of them and get a lovely cart into it. He’s rock-hard fit, has a touch of class, and stays on the limit. I’ll say he will look the winner at some stage for sure. Quite literally, you could make a case for every runner in The Everest – it’s a fantastic race and a deep one at that. I’ve been keen on Vega Magic for a long time, and really wanted him to draw inside 8, which he did, but I don’t like the prospect of a very wet track for him. I think it’s a massive concern, so much so that I’m now leaning to Victorian mare Shoals, who I must admit is a mare that’s been fantastic to me over her career. I wish she’d got up in the Premiere, she was at amazing odds that day, but she gets her chance to go one better, still at a very backable quote. She loves the wet, draws to get the right trail into the race, and she’s proven she’s up to this level at a sprint trip. I’ll probably back both, but right now, I’ll go with Shoals.